At our last Guild Pot Luck (June 13/16) we created postcards - thanks Kerri for a fun evening. Love your postcards. 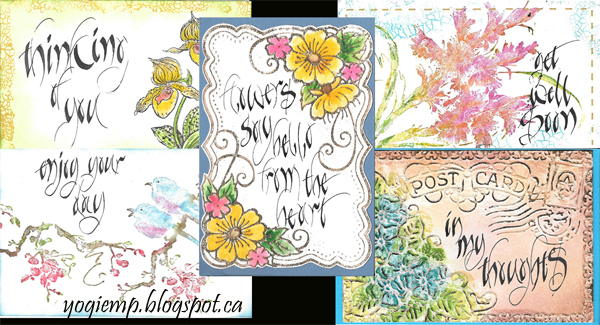 Just wondering, can you tell me what size parallel pen that you used for these postcards? Did you use the 2.4? Thanks. Each is a beauty, Yogi! I have enjoyed making postcards in the past, but these take postcards to a new level.